We make Carbide Cone Rings as per customer's Diagram or samples. 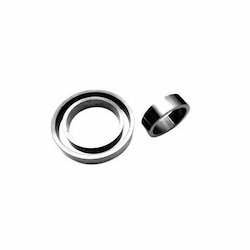 We offer our client an excellent quality range of Carbide Cone Rings which are manufactured from high grade quality raw materials. These Carbide Cone Rings can be customized as per our precious customers specifications. These are widely known for its durability and quality. With the designation of manufacturer in this domain we have expanded our hand in the production of Carbide Rollers with superior quality. 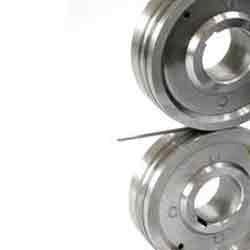 These products are fabricated by our experts using finest quality raw material from trusted vendors. Our carbide rollers find their applications in various industries. They are used in welding electrode industry for wire feeding purpose. Beside that the application arena also includes some other industrial applications. We make Carbide Knurled Rollers used in the welding electrode industry for the purpose of wire feeding. 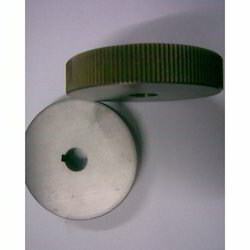 We make these Carbide Knurled Rollers for various machines like Deccan, sharp etc. It is preferred if we get a sample or drawing of the rollers for processing the orders of our clients. Looking for Carbide Knurled Rollers ?